This 85 page supplementary companion guide for teachers has been specifically designed to allow you to quickly access the appropriate information for each section of the program. Having photographs and step by step instructions for all of the strengthening exercises, as well as the class work, will save you time and effort in delivering the program. 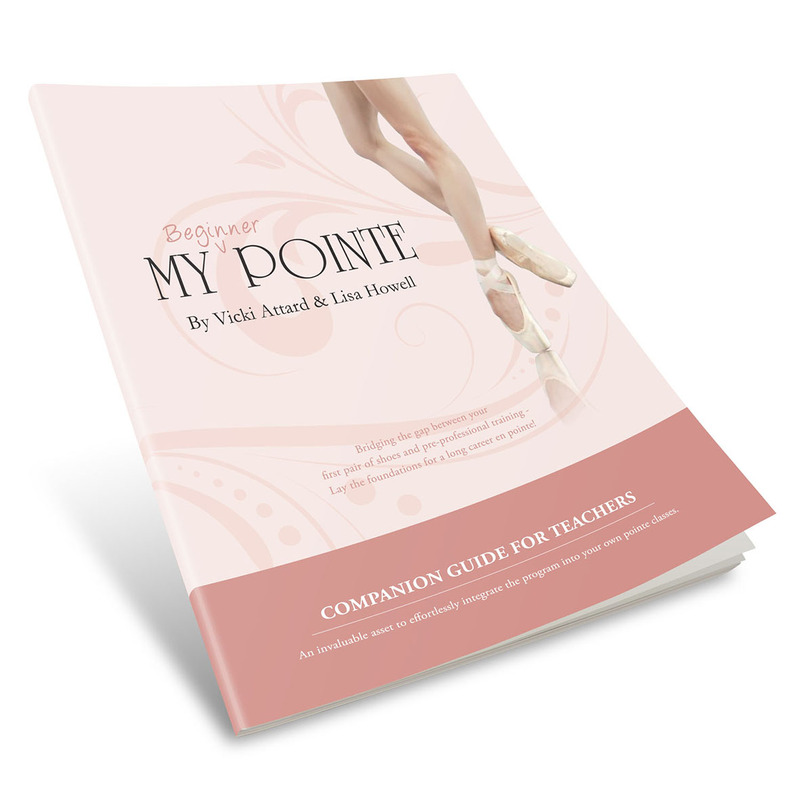 After consulting with many studio owners who loved the My Beginner Pointe Program, the decision was made to add a guide book as some teachers expressed their concern in struggling to remember all of the elements of each exercise when passing it on to their students. This guide also includes lots of additional information that is NOT included in the DVD’s. Each section is explored in great detail and is a continuation of Vicki and Lisa’s desire to constantly advance the education surrounding the teaching of pointe work. This includes sections on pre-pointe assessment, common questions about starting en pointe and relieving pain after pointe work. Vicki has also graciously shared her complete class plans which allow the program to be taught to students of various ages and abilities within the one class. This Companion Guide is available both as a downloadable ebook and a hard copy, so please make sure to choose the version that is right for you. 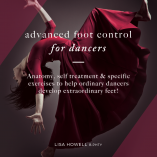 This guide has been put together by Vicki Attard, former Principal Artiste of The Australian Ballet, and Lisa Howell, a well known Physiotherapist for Dancers. 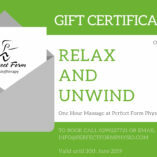 We are both passionate about teaching young students and their teachers how to achieve a safe progression onto pointe. Our sister site, "The Ballet Blog" has loads of articles and videos to help you become the dancer you want to be!